Asics have been one of the leading manufacturers of sports shoes for decades. Starting out with basketball and volleyball shoes, Asics first produced running shoes for athletes competing in the 1956 Melbourne Olympic Games. The name Asics is an acronym for a Latin phrase (anima sana in corpore sano) which translates as “a healthy soul in a healthy body”. Asics running shoes have often been ranked among the top performance footwear in the market. We are well known for our running section and shoe fitting knowledge and we always have a wide range of Asics footwear in stock. We stock a wide range of neutral and supportive Asics shoes for men and women. 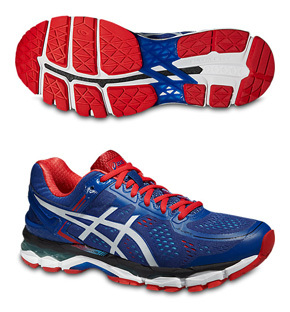 Our Asics shoe range starts at around £45 and the top end Asics shoes are priced around £150. In addition, we also stock a small but good range of junior Asics shoes – starting from size 10 and going up to size 5 1/2. We also offer a supportive shoe and a mixture of cross trainers and running shoes. These are perfect for both school and outdoor use. We stock a small but good range of Asics clothing. With motion dry technology, Asics sports clothing offers similar moisture wicking capabilities to those found in the Nike Dri-Fit range. 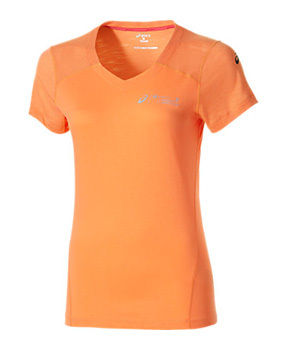 We stock both men’s and women’s Asics clothing. 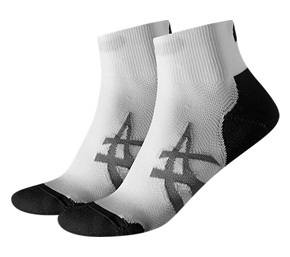 The main Asics accessories we stock are their sock ranges. We stock Asics basics socks in 3 packs right through to the top end compression socks (these help you in your after exercise recovery). We stock both men’s and women’s Asics socks.